It’s Wednesday – you know what that means… Time for WIAW! 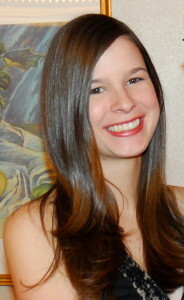 For those of you who don’t know, Jen over at Peas and Crayons hosts WIAW every week – check out her blog for more information on it. Breakfast was nutella overnight oats, with bananas. I also had an un-pictured double chocolate chip oat cookie as a mid-morning snack. It was quite a chocolatey morning! 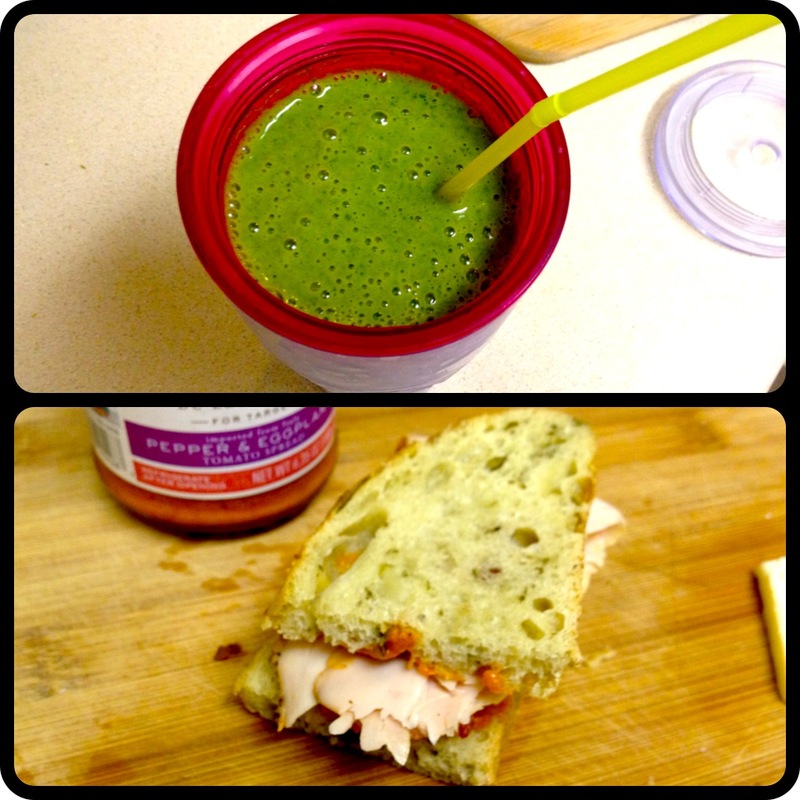 Lunch was an orange creamsicle spinach smoothie and a sandwich that consisted of sun-dried tomato turkey, cheddar, and eggplant pepper spread in between garlic, onion and spinach foccacia bread. 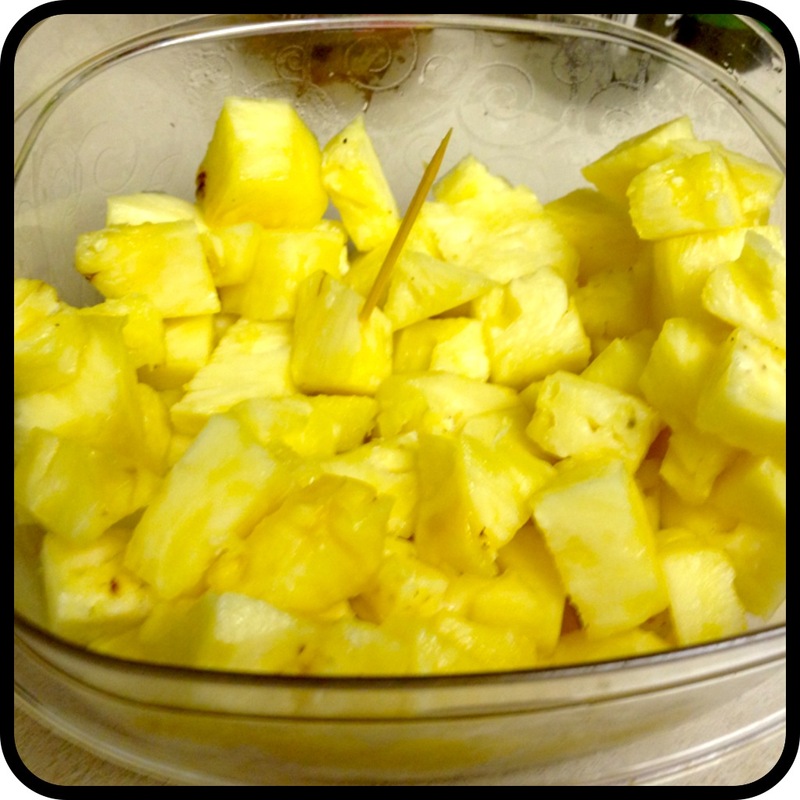 That was enough to get me through the work day and I skipped my usual mid-afternoon snack, but I did have a bit of fresh pineapple when I got home to fuel my workout. 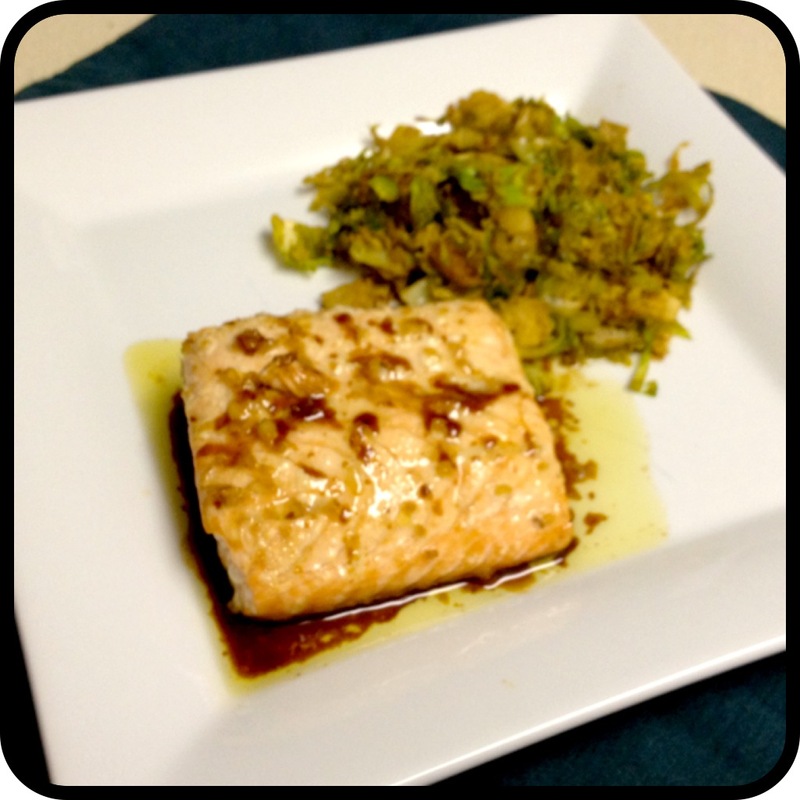 Dinner happened to be a repeat of last week – Asian Marinated Salmon (recipe coming very soon!) with a side of sauteed brussels sprouts and some more foccacia bread. If I repeat the salmon again next week (because it’s so good there’s a strong likelyhood I will! ), I’ll try to make sure I don’t have it on Tuesday night so that I have more variety in my WIAW posts! 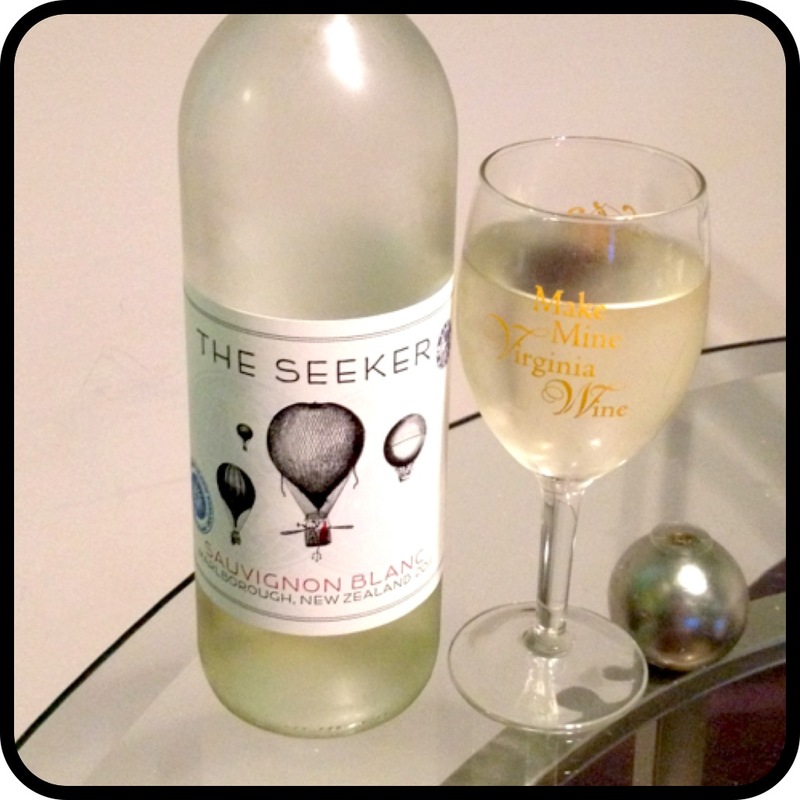 I finished off the night with a glass of wine – The Seeker Sauvignon Blanc from the Marlborough region of New Zealand (my favorite wine region). Delicious. And that’s what I ate Wednesday Tuesday! Be back tomorrow with a tasty new recipe! This entry was posted in WIAW, Wine and tagged WIAW, wine. Bookmark the permalink. I’m kind of just drooling over your breakfast. I’m allergic to hazelnuts, and therefore nutella, but it just LOOKS so good! the wine is called ‘the seekers’? wow I love wine names and labels. I am so sorry you can’t eat nutella! My life would be incomplete without it these days! No really, can you come cook for me? lol I don’t know how you have the time to come up with all this stuff. Also, I want that foccacia bread, like now. Haha well now I have all day at work to think of recipes, it’s just finding the time to make them! The foccacia bread was really good – it’s from When Pigs Fly (a bakery in Maine). I wish I lived near the bakery so I could have it every day. The store also has unlimited samples of all of their breads… I love it there! 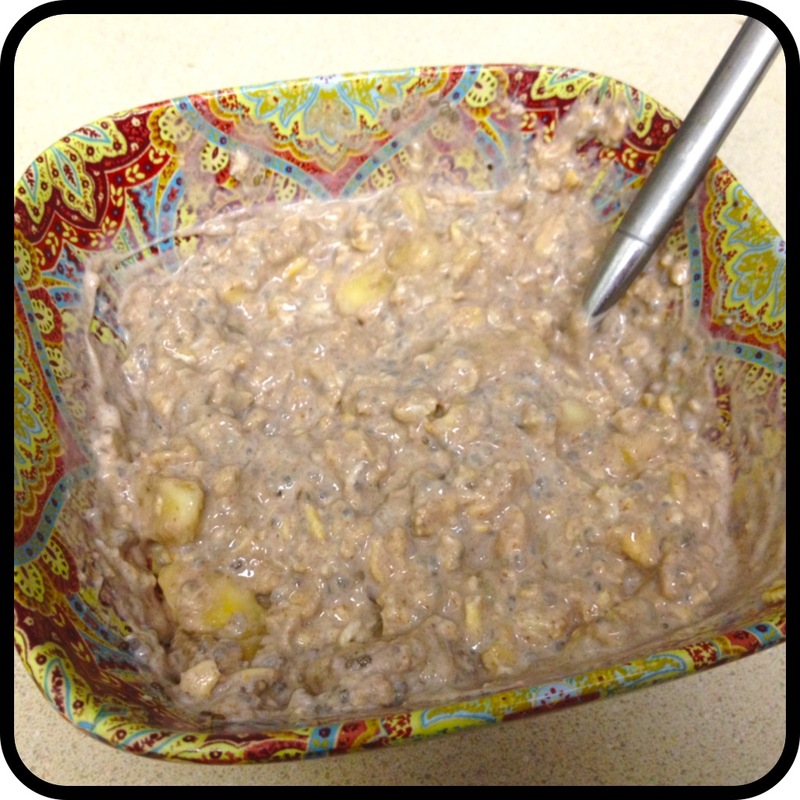 I just recently discovered the joys of overnight oats and have been loving them ever since! I love your idea of adding nutella…genius! Once you find out how you like them it’s hard to not eat them every day! You have to try adding a little nutella – it’s SO good! can’t wait for the asian salmon recipe – salmon is my favorite fish and asian is my favorite cuisine! !